Please note that our favourite product is now also available in a larger 200gm jar. My son Alex tried Mollie’s Magic on his eczema and previous ointments that the GP prescribed didn’t help him. Within minutes the redness had disappeared making it skin coloured and less obivous, it truly is a magic product!! We cannot believe the difference in Katie’s eczema, it’s virtually unnoticeable. So lucky to havbe spotted you today. Thanks again, we have never had anything work like that before. A fantastic product. 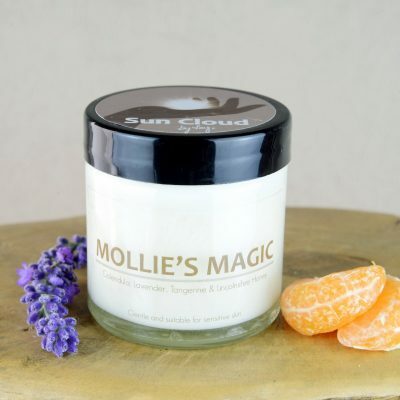 I have always had trouble sleeping and ever since using Mollie’s Magic I have always had a good nights sleep. I also have an 8 month old who has just developed eczema on his chin, after only a couple of applications his skin is already showing significant signs of improvement. In the past, I have suffered from severe eczema on both hands, and cured it with products from Kay’s previous supplier, Ellapure. When that company ceased trading, I moved on to Mollie’s Magic, and I find it keeps my eczema at bay brilliantly. 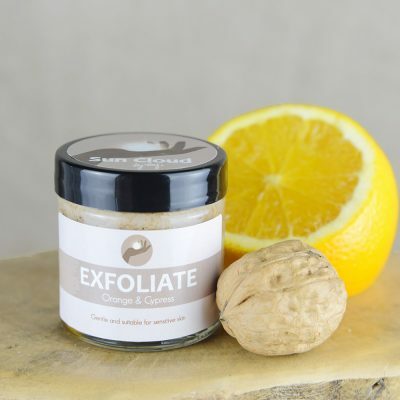 I have experimented with not using the product, but after a couple of days, the dryness, and later the eczema, returns. Mollie’s Magic is also excellent as a general moisturiser/hand cream, I find. I’d also like to say how wonderful Kay’s service is. I put in my latest order on this site on a Friday morning, and happened across Kay in town the next day. She told me she’d managed to catch Friday’s post, and sure enough, the package was waiting for me when I returned home that afternoon. Order to receipt in just over 24 hours! Kay’s products and customer service are the best I’ve come across in this field, and I have no hesitation in recommending them most highly. 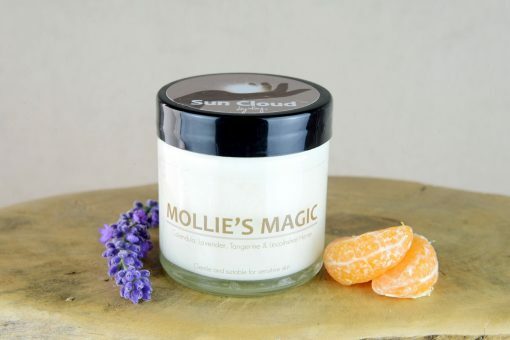 Just about to order another jar of Mollies Magic, it really is “magical” for dry skin which I do suffer from. 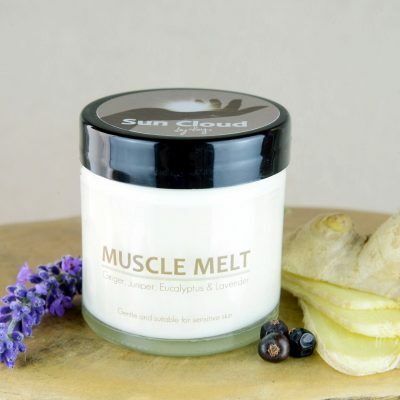 The product smells gorgeous and glides onto skin without problem. Thank you Kay. This is an amazing product! It\’s made my psoriasis a lot calmer! I now feel confident enough to wear shorts again (when it\’s not raining!) Thank you so much Kay! Bought this to soothe my little boy’s very dry ‘goosebumpy’ legs. It certainly does that and as all the products I’ve tried, smells gorgeous! 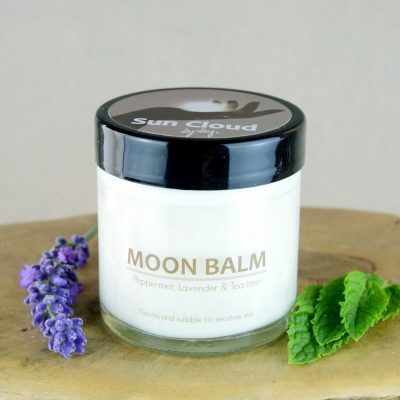 I love using this as my night cream, it’s relaxing and makes my skin feel lovely. Mollie”s Magic is great on goosebumpy upper arms. I use it to soothe and heal bruises. When the manufacturer changed the ingredients in my hair conditioner and I had an eczema flare up on my scalp Mollie’s Magic calmed it down significantly within days.